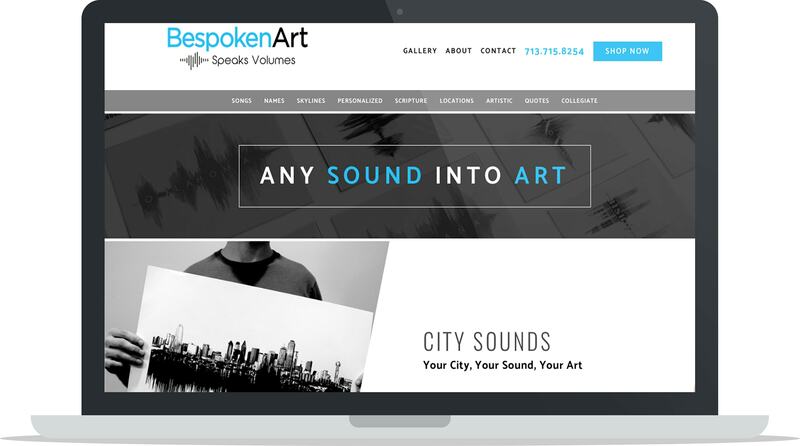 In this case study learn about Bespoken Art’s business, how they create their sound wave art pieces, how their founder came up with this product idea and the way they’ve combatted the challenge of shipping large art pieces to their customers around the world. 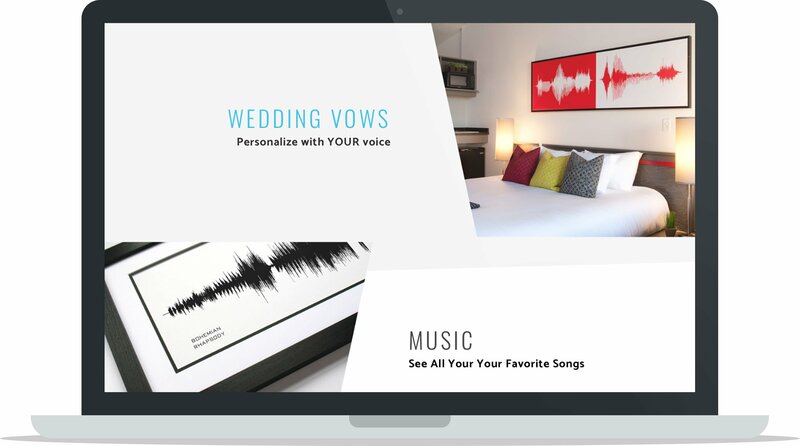 Bespoken Art has developed their own technology to turn sound waves into art, creating a very personal and customizable experience for their customers. They’re a great example of how important it is to focus on providing high quality products to customers and that other operational aspects of the businesses can be focused on as the business grows. Read on to find out more about Bespoken Art. Where did you get the idea to create these art pieces? This is a fun question people often ask and I’m proud to say it was an original idea. 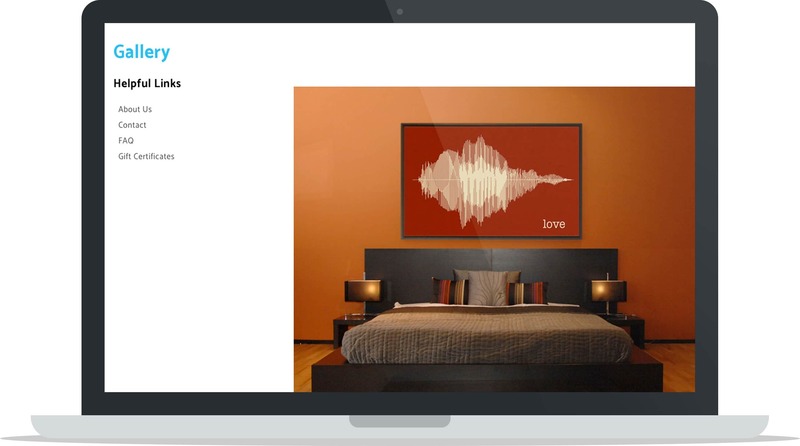 The concept was inspired from a company called DNA11 which creates personalized art from DNA. They had been very successful and so I asked myself, “What else can you personalize? They had obviously found a successful model, so I pondered how to emulate that in a different context. The idea of voice and audio came to mind. It was an exciting moment when it first crossed my mind because I knew it had the potential to be successful, not to mention it was a perfect blend of my interest in music (I play the piano and compose songs), my enjoyment of helping people share meaningful stories, and my background as a Speech Communication major at Texas A&M University. How did you know there was demand for your product? Did you test demand prior to launching, if so, how? As mentioned above, DNA11 had prooved the existence of a demand for unique, personalized art. This, in addition to positive feedback I received about the idea from friends and family (including a couple of orders from friends), proved to be all the “test” I needed to convince me of the concept’s viability. I did spend quite a bit of time testing different color combinations and layout combinations, but the idea didn’t take much time to cement. How do you differentiate yourself from your competitors and make people want to choose your art pieces over other art or personalized products they could buy? You may be asking yourself “Is there really competition for sound wave art?” The answer is yes! 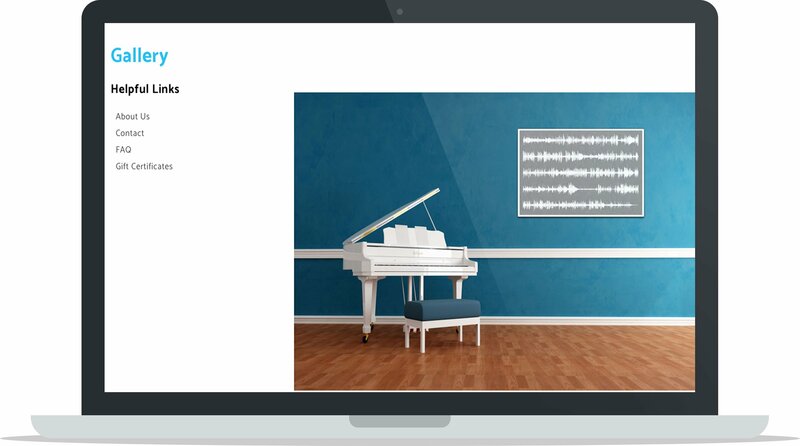 In the first year of my business, I learned of two other competitors who simultaneously were also developing the concept of Sound Wave Art during the period when I was preparing my launch. Since that first year, dozens of competitors have entered the market and as best as I can tell, most of them are copying what we’ve done. Now that you have the context, here is the short answer to this question; make a better product (quality), offer more products and more creative product options (selection and originality), and provide incredible customer service. I don’t go for the “sell cheaper” route as a strategy and never will. What challenges have you faced sourcing the technology and the materials to create this art and how did you overcome it? Recording programs are designed for sound editing, not image editing. 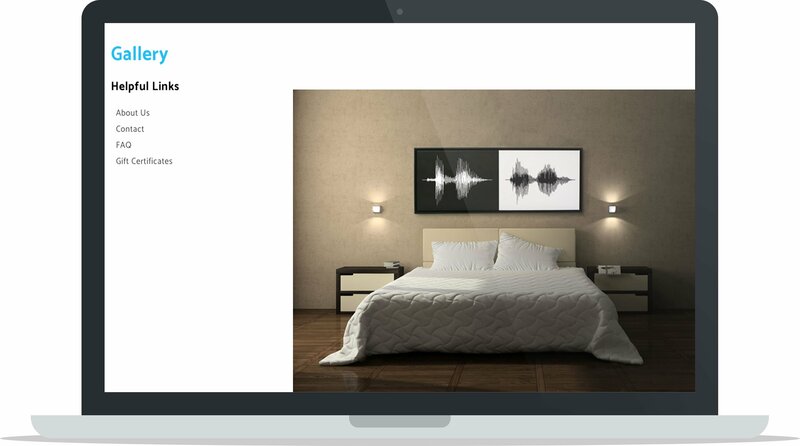 Converting the audio into image form required some custom programing (I paid to have this done) as well as the utilization of various computer programs in order to process different types of audio and images. As for finding the right materials, the initial challenge was to narrow down what kind of materials to use for the final product. I’ve experimented with a variety of mediums and materials; paint and canvas, wood, metal, acrylic, glass, and hand-made paper (to name a few). Overcoming this challenge required lots of sampling, experimentation, and narrowing down, in order to find the highest quality, most aesthetic, and accessible materials for making the art. Haha, I definitely built this as I went. My trusty notebook (I like pen and paper) is very helpful to jot down thoughts, but Google Drive allows me to keep all my files up-to-date and organized together with my team. Which ecommerce platform do you choose to sell your products on and why? I sell on Shopify because it was built for ecommerce and made sense for a large selection of products. My previous site was all custom HTML making it difficult and time-consuming to update and add new products. I’m so thankful to be on a content management platform now and have been very pleased with Shopify. How do you take your product photos? Do you hire a professional team to take them or do you take them yourself? I’ve hired photographers on two occasions in the past, but most all of the photos I do myself. My business concept requires image editing knowledge, so I’ve been able to use that along the way to help me to edit all my own photos. Additionally, my Granddad was a photographer and I learned a great deal from him about photography and image composition. Among other things, he would always remind me of the acronym SAC – Simple, Action, Close. Keep it simple, try and get some kind of action in your photo (e.g. repetition, perspective, color, movement) and be sure you don’t try and fit to much in the photo… so keep it close! At the beginning, I outsourced everything except the small desktop prints. I didn’t have a good process or supply strategy in place for doing these smaller prints and they ended up being very time-consuming. Currently I do all the smaller unframed prints myself and use a partner company to do all the canvases and framed prints. This has worked out really well and I feel like I’ve found a good balance. Currently, I don’t use any specific tools or apps I use to streamline the shipping strategy, but I’ve love to learn if anyone reading this has a recommendation. What challenges have you faced shipping large art pieces and what measures do you take to prevent damage? The biggest difficulty is that large art pieces can be expensive to ship. Thankfully the art companies who make my large pieces have deals with UPS and FedEx to get discounted shipping rates. A second challenge I faced occurred when international customers would order a large canvas. Rather than print their art here in the United States and pay for the expensive shipping overseas, I identified canvas printing companies abroad who I could use to print the art and ship it locally. This has really helped reduce hassle and cost. As for preventing damage, thankfully I don’t have to deal with this very much. Some very smart people have made wonderful innovations in packaging to help keep the art safe, secure, and padded during shipment. Ooo, this question hurts. I think every step of the experience is important, but to be honest, I have yet to put effort into this step of the process. I really should, especially since my product usually has a story or special meaning associated with it… but right now I’m just trying to keep up with growth and focus on good customer service, quick shipping, and a high quality product. The first 3 sales came through friends. After this, sales came organically after Bespoken Art was featured on the blog Design Milk. About half of these came from customers finding me online and the other half came from a hotel (HotelRED) in Madison, Wisconsin, which ordered an 8-foot long canvas for every room. Oh boy, I’ve got quite a few failures, but probably the biggest failure was not taking advantage of the time I had before competitors started filling up the market. If I would have used this season better, I believe I would be much further ahead of my competition than I am now. Success can be measured on quite a few levels, so I’m going to include some of these different types of success. As a boss: My biggest success is creating a great work culture for my employees. I’m very proud that they enjoy their jobs, want to see the business grow, are able to be creative and share their own ideas, and care about their fellow team members. 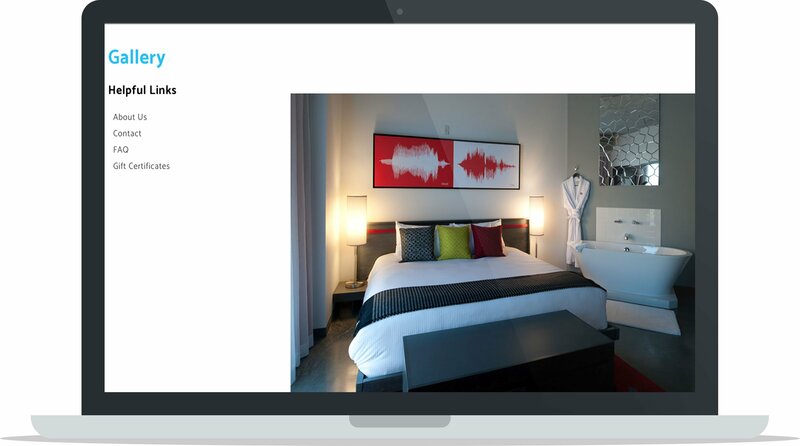 Financially: The biggest success is the order of 51 canvases I received from HotelRED. Artistically: Having my work featured in a museum (2016 summer exhibit at the Arlington Museum of Art in Arlington, Texas). Business-wise: Successfully completing almost 800 orders this past December. Don’t think that a good idea and some Facebook advertising will create a successful business – it takes a lot more work than this. Be creative and think outside the box to help you grow your business. Make sure you have a goal in life besides having a successful startup. If the main thing driving you is a dream of building a business, your foundation is on shaky ground. Find a product or market niche and do that really well before expanding to different product or niche. The customer isn’t always right, but they are always the customer. I would like to have more than 1000 images in the waveform library… and since I have a great team, I think this is very attainable. Let me start by saying that the success I’ve experienced so far is ultimately not something I can take credit for. Having said that, I know the purpose of this question is to share with you as a reader something helpful from which you can learn or try yourself. I would say analyzing and learning from my competition (as well as other entrepreneurs around me) has helped me adapt and navigate a path of progress I would otherwise not have known.